Welcome to the City of Andover,a thriving community of about 12,000 residents located in western Butler County. Andover is located east of Wichita and is part of the Wichita Metropolitan Area. Andover is well-known for its park system and quality schools as well as its accessibility to nearby Wichita. The bedroom community is lush with green space and is rated as exceptionally livable by AreaVibes. This prosperous community has increased its population by more than 51 percent between 2000 and 2014, according to Sperling’s Best Places. The Andover Community takes pride in its school system's academic excellence and progress to exceed local, state and NCLB goals. Although the district has seen considerable growth in the last decade, the Board of Education is committed to small schools and small class sizes. The district enjoys a partnership with Butler Community College that allows high school students the opportunity to earn college credit hours. Located near the state’s largest city, Andover is a traditional Midwestern town. Residents of Andover have access to a diverse supply of jobs in Wichita. The cost of living in Andover, according to AreaVibes, is a mere 4 percent higher than the state’s average but is 4 percent lower than the national average. Given the location, this cost of living is very reasonable. 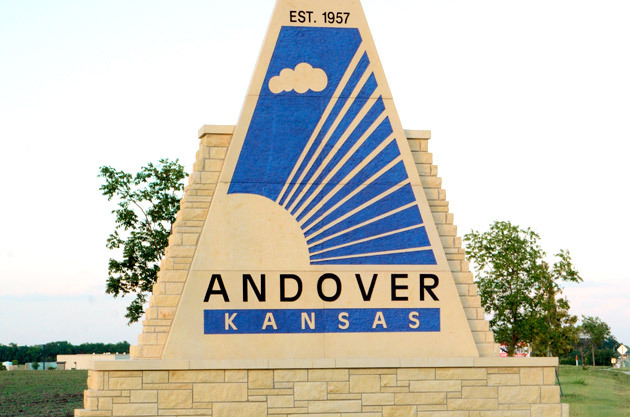 Residents in Andover have, on average, a 2 percent shorter commute time than the rest of Kansas. Homes in Andover are typically set on a large lot with plenty of space. Andover residents also have easy access to the amenities and entertainment facilities in Wichita. 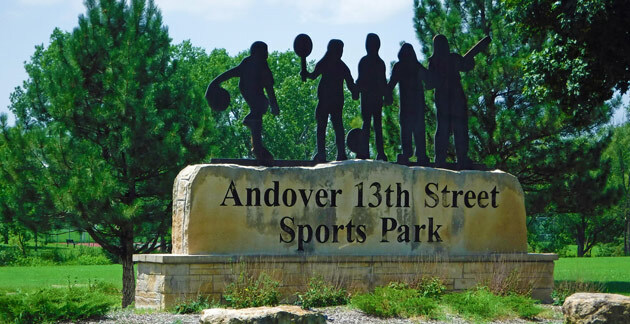 Locally, Andover boasts an active Parks and Recreation Organization. In addition, the Greater Wichita YMCA’s largest branch is located in the community. There are also several parks within the city limits of Andover so residents can remain active and in-touch with nature. 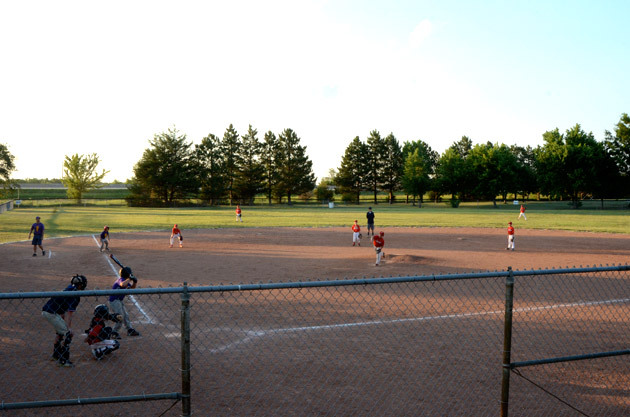 Andover Central Park, 13th Street Sports Park, Williamsburg Park and Andover Cornerstone Park are just a few. 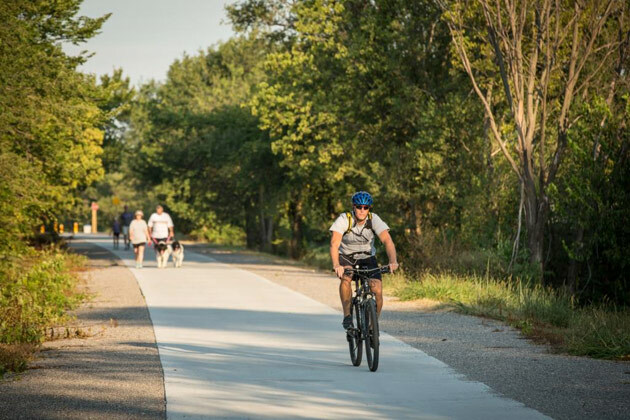 One of the city’s highlights is its sprawling 61 miles of sidewalks that stretch throughout the entire community, offering residents an opportunity to run, walk or bike whenever they please. Connecting the community’s parks and residential areas, residents can rest assured they can exercise safely. Andover has three golf courses, including the award-winning championship Terradyne Country Club course. This Donald Sechrest designed course was awarded 4.0 Stars by Gold Digest magazine in 2006 and has been rated as one of America’s best by Golf Week magazine. 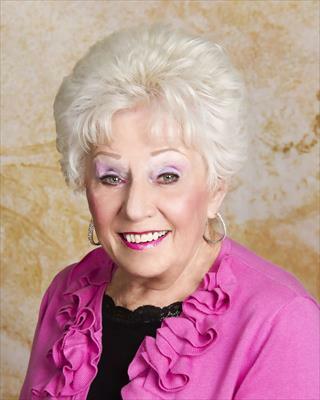 The East and Augusta Offices of Berkshire Hathaway Home Services PenFed Realty serve Andover and Butler County. Our sales professionals are proud members of the community and are a resource for all your home-buying, home-selling and relocation needs. Photos courtesy the City of Andover.